Admit it, you’ve seen a few of ’em. 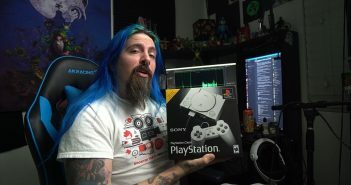 Maybe you came across them in the dollar bin at the grocery store, or on YouTube, or as part of one of those screamy online video review shows. They look sort of like anime – maybe even enough like anime to fool you the first time – but they’re not. These mysterious movies, with names like PROTECTORS OF UNIVERSE and SPACE THUNDER KIDS are pretty much all from South Korea. 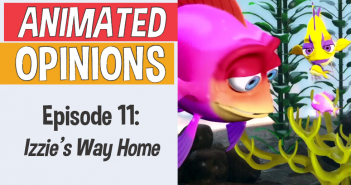 But they almost all have one thing in common: they steal a bunch of elements – character designs, robots, plot points – from an astonishing variety of other cartoons and media. The thing is, these days South Korea is finally reaping the benefits of being the animation second unit of damn near the whole world for the last 35 years – their domestic output isn’t always excellent, but it’s sometimes very potent, yielding great stuff like Aachi and Ssipak, Yobi the 5-tailed Fox, and Leafie: A Hen into the Wild. But it wasn’t always that way. Back in the late 1970s and early ’80s, the country was modernizing hilariously quickly, and kids from Kyongju to Seoul craved cheap cartoons for movie theatre and TV release. Since most Japanese animation was banned thanks to post-WWII protectionism (a ban that was eventually lifted starting in 1998), Korean animators, who already had significant training thanks to working as subcontracted in-betweeners and background artists for anime companies, made their own anime, dammit! With Batman, and E.T.! Let’s check out some of the nuttiest ones. The cover should clue you in to where this particular entry, a 1996 feature film, is headed. But in this case, our spiky-haired, martial arts fighting’, aura blastin’ hero is named Gokdai. Who’s Goku?! Obviously, Gokdai and his friends, the titular Super Kids, have never heard of him! 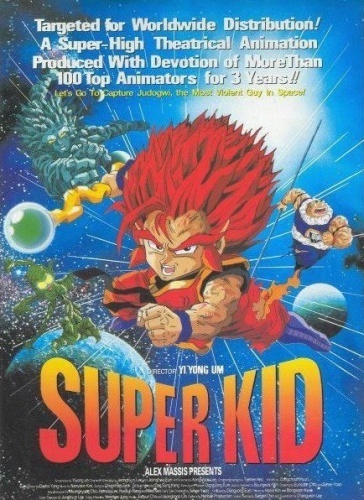 In fairness, the swipes that Super Kid takes from Akira Toriyama’s beloved Dragonball and Dragonball Z are only moderately blatant. You’ll see an awful lot of characters who look pretty damn familiar in this romp, but Gokdai himself is the only one who’s obviously evocative of the source material. And in fairness, while there’s plenty of mystical powers, no Dragon Balls are found within this show. Super Kid steals archetypes and concepts feverishly (their version of Bulma is a news reporter instead of a tech geek, but come on, it’s still basically Bulma), but carefully skirts being an actual ripoff. It’s the only entry on this list that does so. 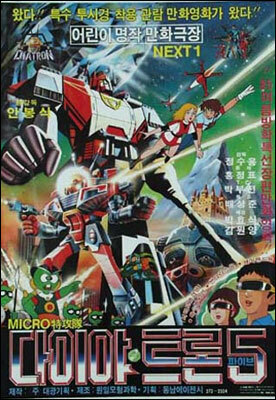 Looking at weird old Korean cartoons of the ’80s, you start to develop certain expectations. 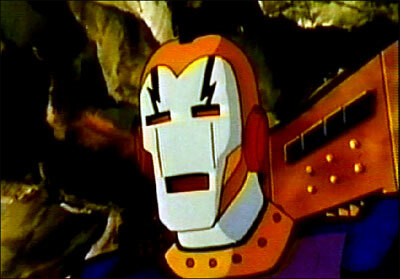 It makes sense that many of these ripoffs are robot shows, because that’s what was popular back in the day. But hang on a minute – is that Wonder Woman? Seriously?! 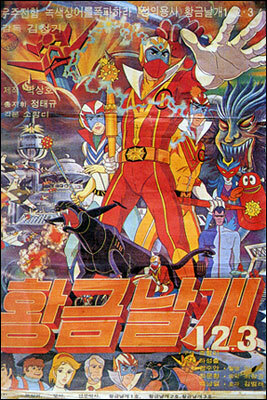 Yep, Wonder Princess is part of the pantheon of hits by Korean maestro Kim Cheong-gi, who fired the country’s imagination with the hero robot classic Takewon V way back in 1976. What I love about this particular film is the way that it doesn’t stop at ripping off Wonder Woman’s iconic costume, powers, and backstory (just like in the original, the princess is dating a handsome military man! ), but quite literally swipes the twirling transformation sequence from the 1970s Lynda Carter Wonder Woman TV series. Even the soundtrack is rife with thievery, featuring tunes by the Alan Parsons Project. In terms of pure, absurd entertainment value, this one’s a real contender. Ostensibly the Fantastic Voyage-esque tale of heroes and their robot being miniaturized in order to save the life of the genius who controls earth’s defenses, Diatron-5 heads off to crazy town early, as the good guys discover that imperiled girl genius Ivy’s body is actually a whole new world – like, with villagers and castles and stuff. It’s pretty goddamn nutty. The other fun part of Diatron 5 is getting to play Spot the Robot. The titular mecha is the Machine Buffalo from Takara’s Diaclone toy line, an ugly toy that might’ve been forgotten if not for this dubious classic. Our heroes are also accompanied by a squat little robot called Vifam – which is, appropriately enough, a shrimpy version of one of the robots from the classic TV anime Round Vernier Vifam. Also appearing is Camera Robot, a tiny scopedog from Armored Trooper VOTOMS, and the bad guy characters are lifted straight outta Space Runaway Ideon. Diatron-5 is seriously daffy stuff; it’s got two completely separate, distinct English dubs floating around in the ether, too. One of them, produced by Hong Kong schlockmeister Joseph Lai, is free to watch on the Internet archive – so enjoy playing Spot the Robot yourself! Boy, E.T., the extraterrestrial himself, sure was popular back in 1983 – so it goes without saying that there’d be knockoffs by 1984. 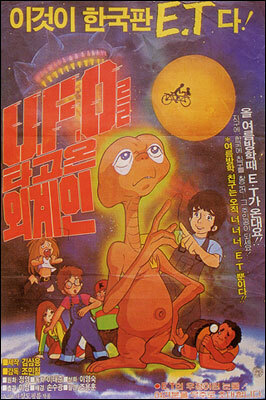 Hilariously enough, South Korea actually had two separate E.T. swipes going; there’s another old film called Golden Pencil and the Mischievous Alien Boy (not making this up – the Korean title is ????? ???? ???? if you want to go hunting! 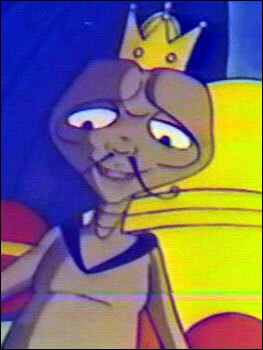 ), but that one’s E.T. character ripoffs are way less obvious than the ones in this film. How can you possibly argue with this? 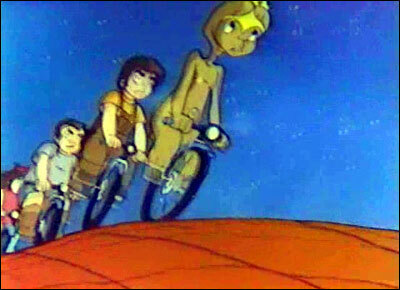 Yep, in this film, a herd of incorrigible little kids comes across not just an E.T., but a prince among E.T.s, who takes them back to his embattled planet to meet dad and get into some shenanigans with scary, green-skinned bad guys. Don’t worry – they still have plenty of time to re-create that special, iconic bicycle scene! Nothing about what Goldwing does seems too obvious at first. Hot-blooded teen hero with a dead father figure? Check. Outrageous costumes? Check. Alien bad guys? Check. Crazy, overpowered giant robot? Checkmate! But something awesome happens shortly into Goldwing’s running time – we meet this dude! Yeah, that’s a heavily-ornamented, palette-swapped Iron Man, alright! This right here embodies the true joy of watching these nutty old South Korean cartoons – you just never know what to expect. One minute, you’re watching a kid and his robot pal (looks a bit like Magnos, come to think of it), and the next, a weird, sentient Iron Man suit with a crazy, flapping mouth is sacrificing himself in the name of justice. 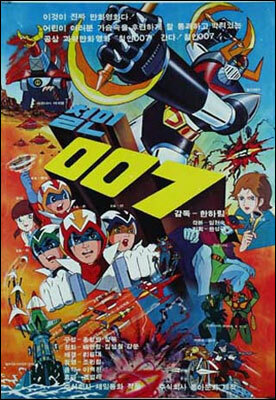 Interestingly, the popularity of Goldwing in South Korea led to a team-up flick with fellow South Korean super robot (and ever-so-slight Mazinger Z swipe) Taekwon V.
1976’s Iron Man 007 takes a pretty logical approach to making a really entertaining cartoon – it starts with the 5-man scientific ninja team Gatchaman and adds super robot Gaiking to the mix. To keep things nice and confusing, the good guys use Gaiking, while the bad guys, a creepy-looking race of horned aliens, have what looks like a bargain basement version of the Space Dragon from the series of the same name. One thing that Iron Man 007, which is sadly Tony Stark-less, does alter is the hero costumes – the whole bird motif is toned down. But the characters inside are undeniably the Gatchaman team. 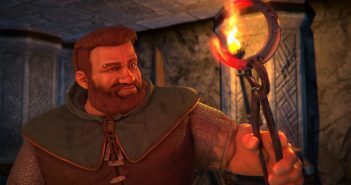 It looks like they gave Ken a haircut, but it’s the same dude, alright! To keep the Gatcha-motif going, the robot splits into five vehicles – which are, coincidentally, the same vehicles from Gatchaman! Even that big jerk Dr. Nambu shows up, with a transmutation wristband of his own. The only drawback? No fat guy! A suitable ripoff of Ryu is mysteriously missing. 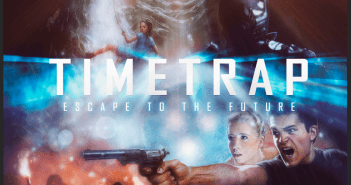 Now here’s a remarkably thorough ripoff – easily the biggest knockoff on this entire list. See, most of the titles you’re seeing here are content to steal elements and character designs and rearrange them with remarkable creativity, but the theft shown in Mazinger X (which should not be confused with other original South Korean hits like Mazinger 3 and Mazinger 7) is remarkably blatant and extensive. This film is almost a 1-to-1 redux of UFO Robot Grendizer, Go Nagai’s famous saucer-riding robot (they call him Goldorak in France!). Same robot, same colors, same special attacks – even similar enemies. In fact, the only big change is the pilot, who looks a bit more like Mazinger Z‘s Koji than Grendizer‘s Duke Freed. It’s all terribly confusing, not least of all because it just looks so much worse than an average episode of Grendizer. But it’s one hell of a rip-off, that’s for sure. Is it a Gundam? It certainly doesn’t look like a Gundam. It looks like a valkyrie from Macross (or, if you grew up with Robotech, a veritech). 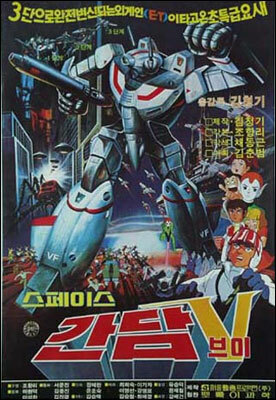 Nevertheless, it’s Space Gundam V, a semi-sentient robot guardian with mystical weapons and a tough kid in the cockpit. That’s right – not only can the Space Gundam transform into the familiar plane and gerwalk forms, it’s a magical thing, kinda like Reideen. The pilot wears a Macross helmet, but he looks kinda like Gundam hero Amuro Ray. And best of all, he fights a city-smashing demon empire, who lend the proceedings an appealingly Devilman-esque air. You remember what I said above about wonderful, unexpected surprises? 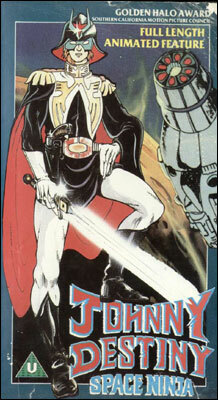 It just doesn’t matter how strange and crummy old cartoons like this one are, because absolutely nothing can approximate the baffled, dizzy joy of a palette-swapped Char Aznable taking his helmet off to reveal the visage of Amuro Ray (for non-Gundam nerds, that’s approximately like Doctor Doom taking the mask off to reveal Reed Richards). The thing is, Johnny Destiny (as it was titled in the UK, where it got a videotape release, no less) has been around for a long time. When I first heard about it, the fans I was talking to (this was before the Internet was a big deal, so you had to actually go and meet anime fans in person) were convinced that this was a terrible, incomprehensible edit of the three original Gundam movies. But the reality is so much worse! There are no Gundams in this thing. Amuro/Char is accompanied by a Sayla knockoff, who dresses like the antagonistic Lady Kycillia in battle. The bad guys are led by a great big Frankenstein-green version of Dozul Zabi from Gundam. The adorable little kid sidekick looks kinda like Gundam‘s Hayato – only he’s a robot. And then everyone fights with swords and kung fu. It’s all quite magical. Things just had to wind up with Batman, didn’t they? There’s absolutely no mistaking it – he might be wearing yellow, but that’s the caped crusader, alright. This Batman is amazingly, hilariously different from the world’s greatest detective, however – he can fly. He’s strong enough to crush giant robots (one of ’em looks suspiciously like Dai Apollon) and rip his enemies limb from limb. 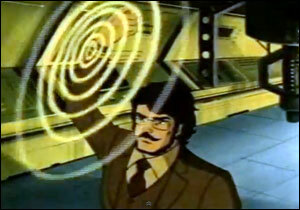 He shoots goddamn lazers from his hands (that’s “lazers” with a z, for sure). While he exhibits these crazy feats, he laughs maniacally. This real ultimate weird Korean cartoon has an interesting backstory. 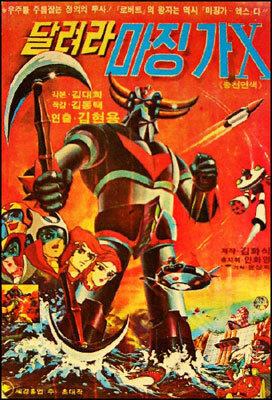 One of the first TV anime productions to be broadcast in Korea was a 1967 series called Golden Bat, an enjoyably creepy superhero cartoon about an agent of justice, the last surviving Atlantean, and his struggle against evil – while wearing a grinning golden skull mask, of course. I guess Golden Bat was sort of a good-guy version of Skeletor. This program slipped South Korea’s usual ban on Japanese productions, because its backgrounds were painted by a Korean company. 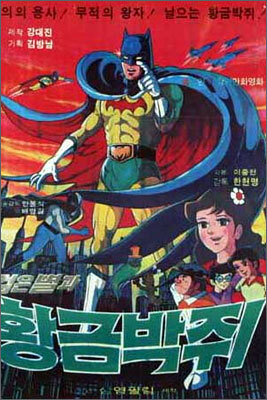 Golden Bat was popular among Korean children for years, and eventually a domestic “reboot” was on the table. Thus, Golden Bat became Golden Batman, although they still call him Golden Bat in the Korean version. 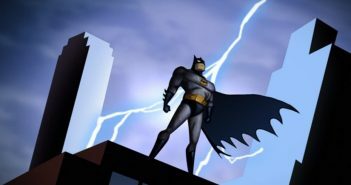 Examples like Golden Batman, Wonder Princess, and the amazing fake Iron Man beg an interesting question: these characters may be copyright infringement, but just how damaging is it to DC and Marvel? If Batman wears the wrong colors, exhibits crazy super powers, and has a totally different origin story, is he still Batman at all? I’ll leave you readers to ponder that question. 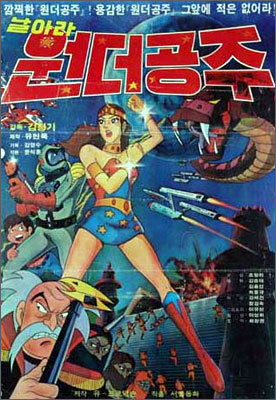 As for these awesome old anime and superhero knockoffs, South Korea’s animation biz has blossomed, but there are still a few dozen nutty old flicks just like these ones out there. Keep an eye out for them!